Have you noticed more news on data breaches, password stealing, and hacking as a tool for war in the news recently? It’s not just you, and it’s not just sensationalism. 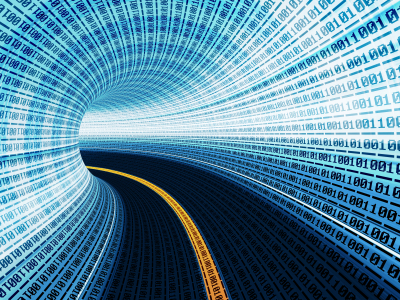 It turns out the internet being referred to as the information superhighway is an apt metaphor. As it has been recently revealed that the highway is more potholes than road. In addition to have more holes than concrete, stretches of solid road that exist are seemingly ruled by Mad Max/Road Warrior style gangs in the form of international hacker mafias. No information on the open internet is secure. That was one of the lessons that should have come from the Edward Snowden NSA Leaks last year. But that fact took a distant second to the US government having a full-fledged Orwellian domestic spying program active, in place, and recording everyone’s emails, text messages, phone calls, and data placed on social media. Not only is our personal, private information not safe from our government but our stock markets aren’t safe from international hackers either. The NASDAQ got straight up hacked into by Russian hackers in 2010. The hack and investigation into it were recently declassified and chronicled in a great article by Bloomberg Businessweek. After the FBI, CIA, NSA, and Secret Service each took turns looking into the matter, it is still unknown exactly how the hackers got in, what they took, and/or what they left behind. Essentially the only thing they know is that the hackers were Russian. In related news, Russian hackers just this week stole more than 1 billion passwords and half a billion emails in the largest data theft in the history of the internet. In the spirit of a stock market being hacked, it turns out professional hackers have their own exchange market. A recent article in TIME magazine revealed that hackers sell software bugs to the highest bidder to both governments and private companies. The last year and a half will be remembered as the golden age for conspiracy theorists. Before you know it there’ll be a video released showing big foot, shooting Kennedy, from the studio where it staged the moon landing. Learning that the information super highway is more potholes than roads in the long run, is good for us. We must be less trusting of faceless corporations. I know we’d all like to think Mark Zuckerberg is our friend, but he’s just another CEO trying to make money off of his customers. Not only are social media companies selling our information first hand through data brokers, but the information is so unsecure that all social media services are serving as enablers for identity thieves. I can only imagine how much of my personal information is being packaged and sold on the black market. I’ve signed up and signed away my identity to a plethora of social media providers. But I’m a lower risk target. When I check my bank account online moths fly out of my monitor. But there are plenty more people who have plenty more to lose who have plenty more valuable information floating around online. And what we have definitively learned is that the information is NOT secure, it is floating around, waiting to be snatched by any hacker collective willing to put in the time and money. There is no going back from the digital revolution. We’re not going back to analog and paper. So what is the solution? I don’t know, I just hope a solution is found before I have enough money to invest online.